Im stumble into a quite newbie problem, I'm trying to recreate a large scene that involve multiple huge waterfall from the distance, however it's a dark scene and the waterfall suppose to be illuminated, I tried to use Point Light to lit them up but at a certain distance the particle appear to be completely unaffected by the point light. They only lit up when I'm literally next to them. it might be an ineffective approach to make the waterfall glows, but I don't know how to make a particle system glow/emission lights. 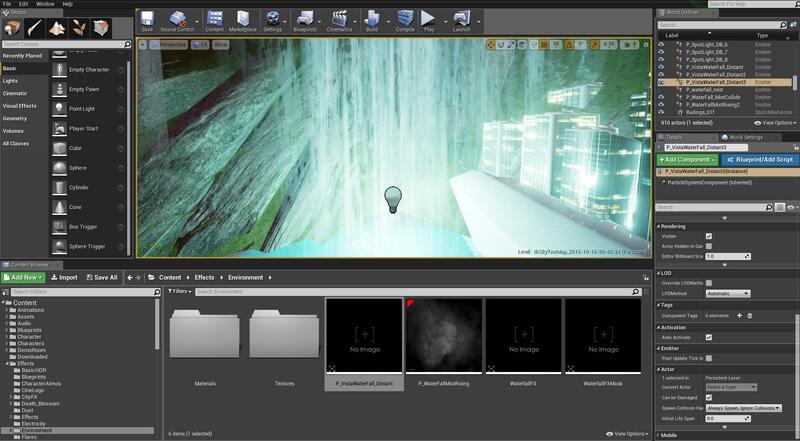 The Waterfall I'm using is P_VistaWaterfall_Distant / from learning asset from FPS demo, I believe. and it not even that far, i need them to glow from like 30 time that distance. is there any way to make the waterfall it self glows? It more preferable then point light because it cause everything else around it to be lit bright too much when I only intend for the waterfall to be lit. Any help is greatly appreciated, thank you so much in advance! Might have some things you can try. 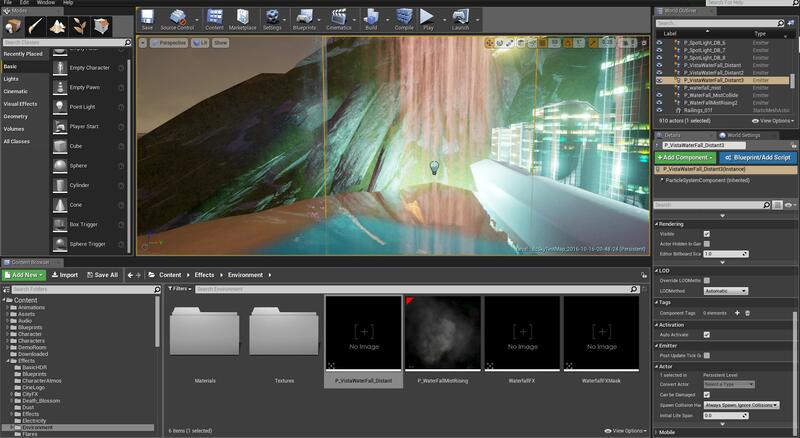 With your waterfall particle - find the material you are using for it - open that material up - set it to unlit mode then drag the base colour into emissive - this will make it glow without need for lights. If this doesn't work - set the waterfall to movable and the light and see if this helps, but ideally you want to try and make the particle glow. work exactly as instructed, I disconnected a B link and increased emissive multiplier and they glows now, thank you so much!